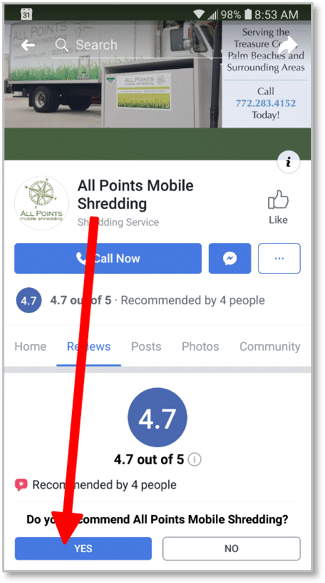 Click here and leave your review, including a description of your experience with All Points Mobile Shredding. Please be sure to click POST when you are finished. 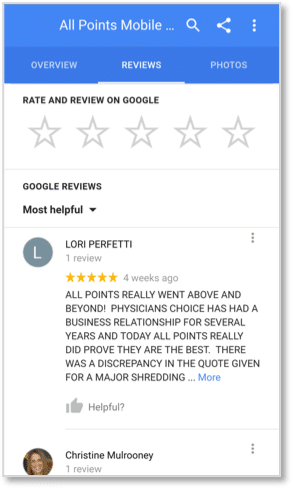 Click here and tap the REVIEWS tab. 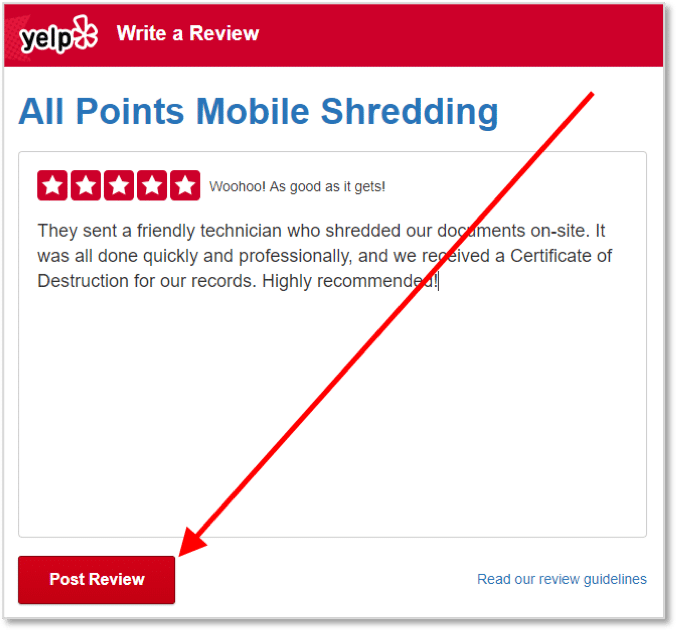 Scroll down to choose your star rating and type a description to accompany that rating. Be sure to tap POST when done. Click here. 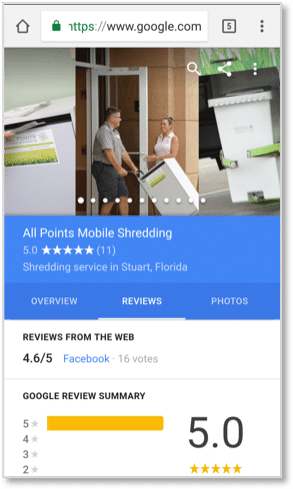 Under Do you recommend All Points Mobile Shredding, click Yes. 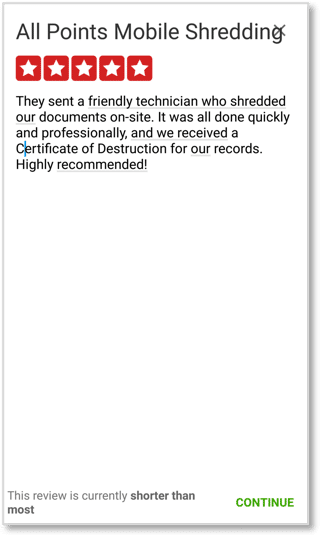 When the text box pops up, please write a description to support your recommendation. Be sure to click Post when you are finished. 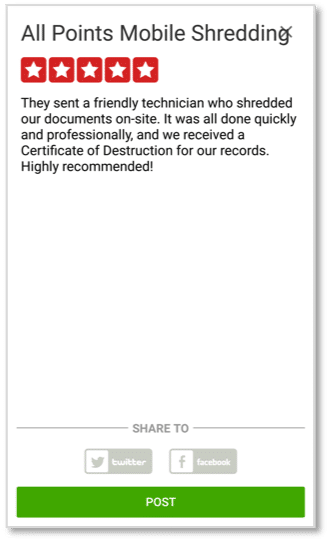 Click here and tap the pencil icon next to Write a Review. 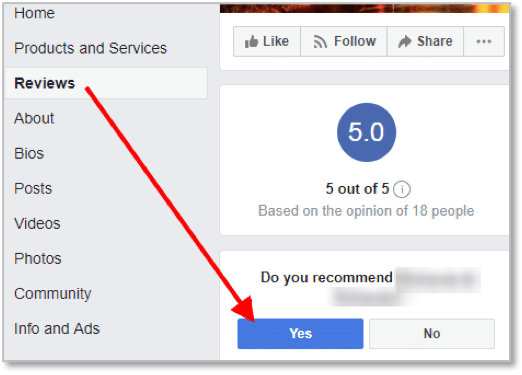 Choose a star rating and write a description to support it. Be sure to tap Share when finished. 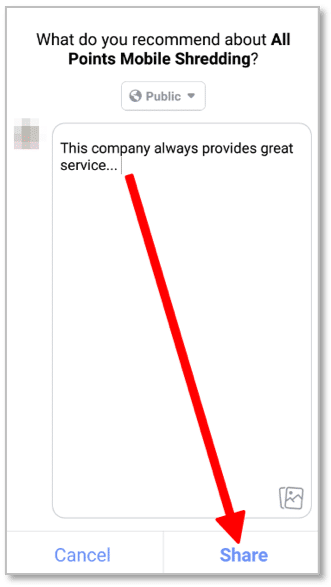 Click here and leave your review. 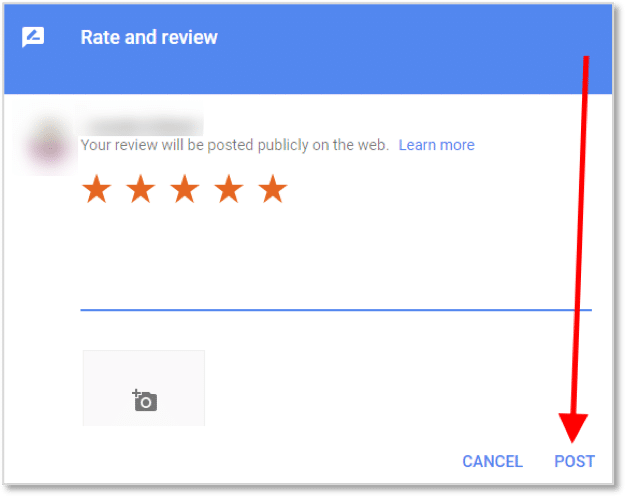 Please be sure to click Post Review when you are finished. 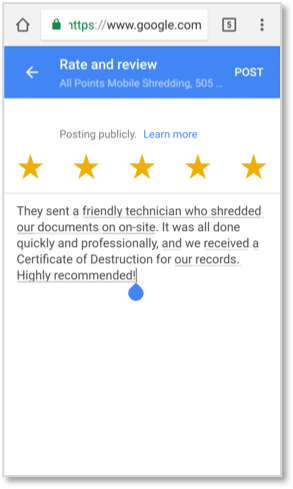 Click here and write your review. Please be sure to click CONTINUE, then tap POST when you are finished.